The Stobag Terrado is an unsurpassed, all-weather system with a glazed roof and integrated awning. 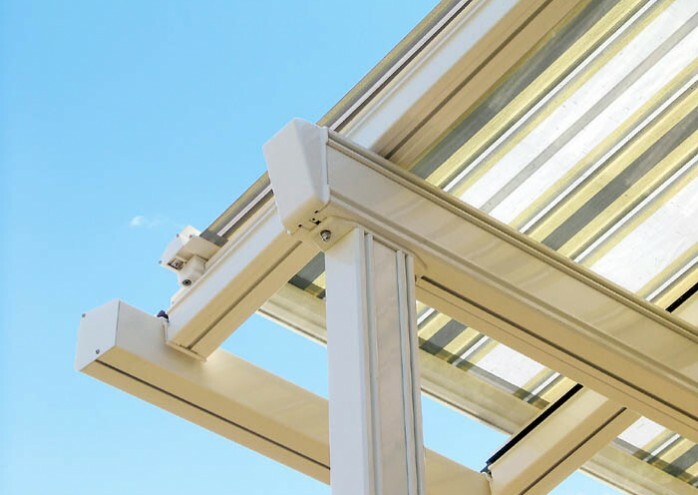 Based on the European Winter Gardens, the Terrado’s stable and weatherproof aluminum construction with laminated safety glass and proven shading technology provides year-round protection against the sun, rain, and even snow. 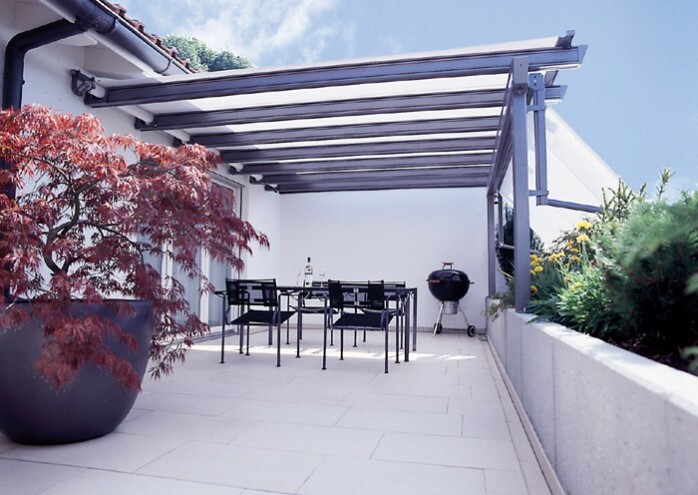 The beams form a typical Pergola structure and there is a choice of three different versions of the cross beam, allowing the structure to cantilever and integrate gutters. 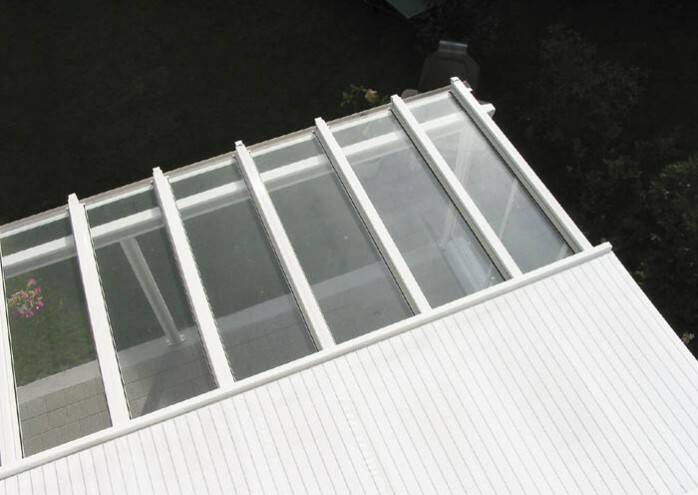 Easily fixed to walls or soffits using a mounting profile, the integrated gas-pistons ensure constant tensioning of the cover throughout the length of the pitch. Easily operated with a motor, cooling at the push of a button. 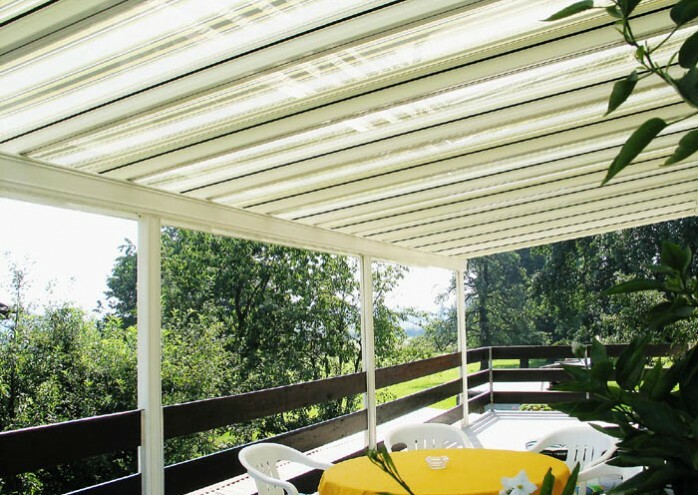 Additionally available: vertical shading or zips, integrated lights or heaters, and even glass doors.